Microsoft bought LinkedIn for $US2.6 billion in 2016. The company’s enterprise software-as-a-service business is losing ground to competitors and makes up just a minuscule fraction of Microsoft’s revenue. 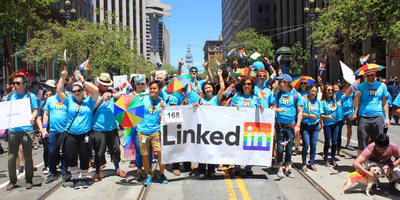 BMO Capital Markets says Microsoft could leverage LinkedIn to boost revenue from its Microsoft Dynamics enterprise software segment by up to 13%. 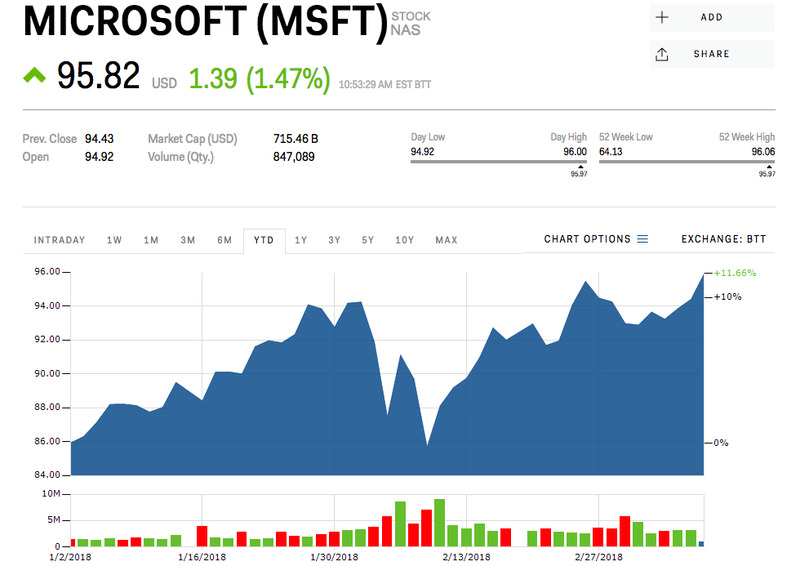 Microsoft has been losing ground to other cloud computing and enterprise software-as-a-service competitors, namely Amazon, but the company could leverage LinkedIn and similarly aggressive acquisitions to kick the unit into high gear, one analyst says. 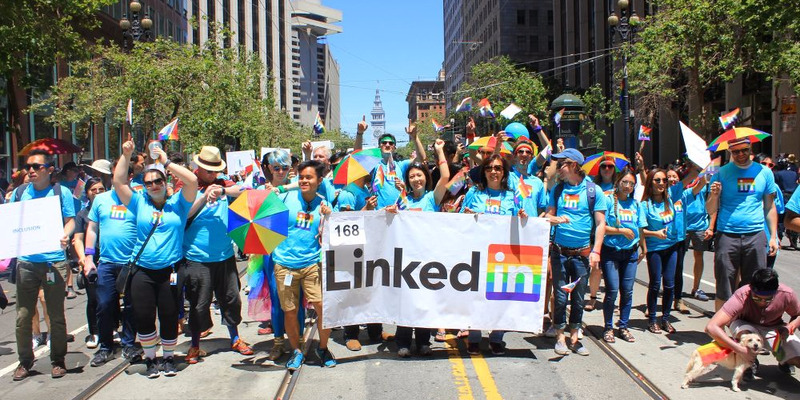 Microsoft purchased LinkedIn for $US26.2 billion in June 2016. But for fiscal year 2017, the service brought in just $US2.3 billion, or 2.5% of Microsoft’s total annual revenue. The company could leverage the data it harvests through LinkedIn profiles, job applications, and its subsidiary education site Lynda, to power its Dynamics platform for talent management, or HCM, Bachman says. Dynamics made up just 2% of Microsoft’s total revenue in 2017, BMO estimates. “Microsoft has a relatively modest presence in the SaaS applications market segments, relative to both Microsoft’s total revenues and various SaaS market segments. Moreover, we believe that Microsoft is underperforming its potential,” Bachman said. 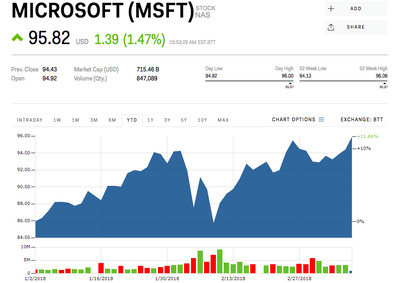 Shares of Microsoft are up 11.7% so far in 2018.